First off, technically we are on Day 15 of the adventure. I tried to post last night, but per usual, we had no cell service and the WiFi was imaginary. 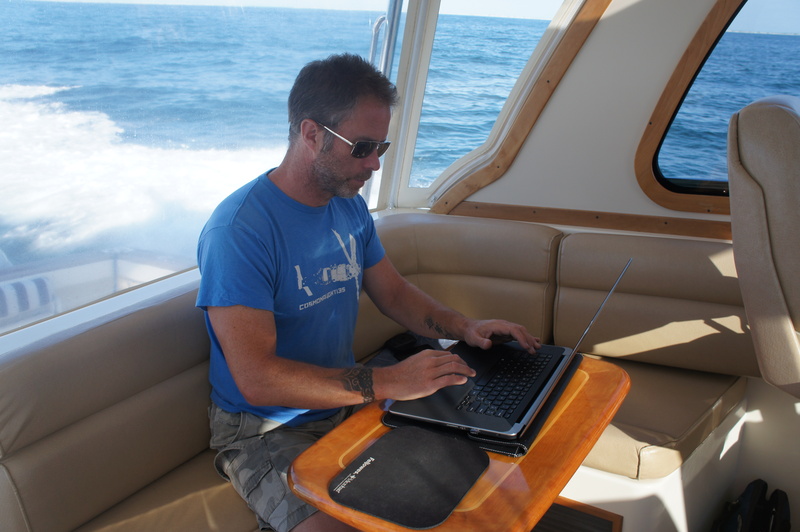 So here I am, sitting on the settee in the helm deck, three miles out on the Atlantic – with, of course, full cell service. But more about today’s journey this evening. 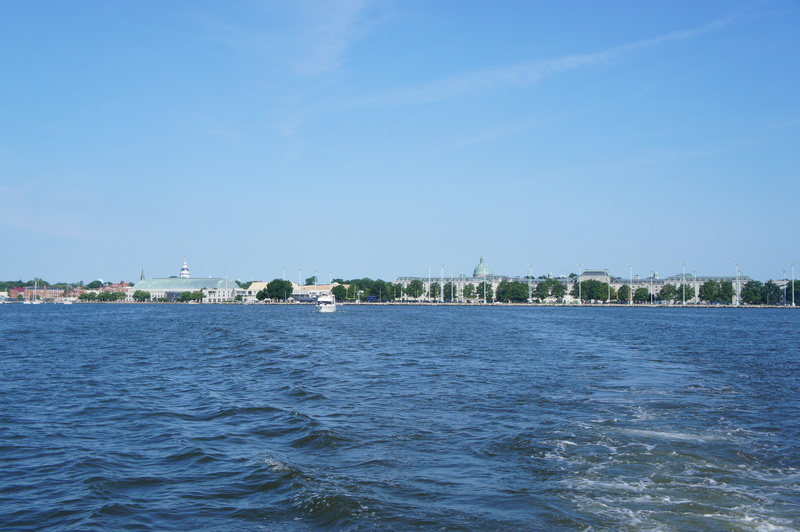 We left Annapolis after an exchange of fluids – we added 196 gallons of diesel, about 75 gallons of water, and removed 30 gallons of the less desirable stuff. 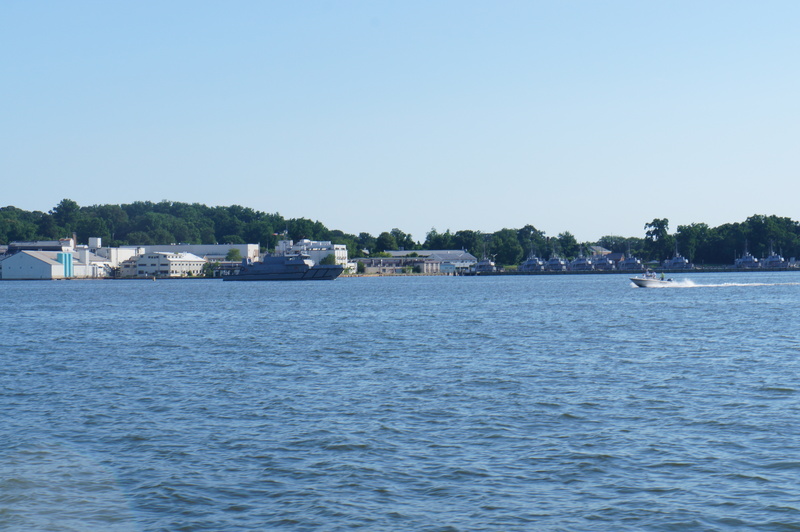 Our plan was to do a quick and easy run to Havre de Grace, which is some quaint town on the Chesapeake right by the C & D Canal that leads to the Delaware Bay, pick up a mooring and chill for the day. Instead, after looking at the weather, we opted to push on through the canal and run the entire Delaware Bay down to Cape May in one day. The advantage being that the Atlantic is looking a little foreboding Monday and into the near future. By making the push today we can tackle the run from Cape May to Manhattan in possibly one day. The down side is that our trip is almost over, and we kinda don’t want it to end. Regardless, another interesting day. This morning I spent a half hour scrubbing off the salt and grime the had been dashed on poor Sequel during our trip up the Chesapeake two days earlier, while Amy worked on scrubbing the tons of bug poop off Sequel – perhaps literally. Then we departed, along with Navy training ships from the school. And best of all, the northern Chesapeake and the bulk of the Delaware Bay were kind to us today. We almost made it the entire trip without stuffing a wave and dousing the topsides with salt. Almost. The run down Delaware Bay was filled with huge commercial traffic – and a pair of Mylar balloons. We ran past the balloons just floating around looking for a turtle to choke, so we decided to stomp on the breaks (for the record, for those thinking of purchasing a boat, they don’t actually have breaks) ad go on a rescue mission (see video). Finally, after a fairly long, but not too hot, day, we ended up in a slip at Utsch’s Marina (and I ask you – how on earth do you pronounce that when hailing them on the VHF? Not fair). And at the marina we met Wes on his Sabre 42 – the big sister to Sequel – who is bringing his Sabre up to Tiverton, RI for the summer from his home in MD. So we’re boat neighbors! And we also met Edie and Joe – who have a Tiara named Seaquel (sic). We actually heard them hailing another vessel while we were running down Delaware Bay and at the time I was sort of like, huh? Did I just hail someone? Nope different Sequel, different spelling, same small world. 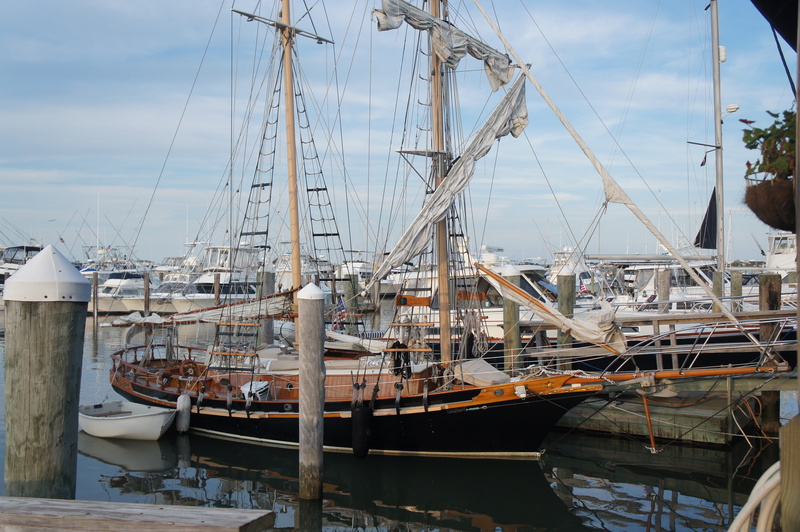 They are taking their Seaquel to Martha’s Vineyard. I’m going to the test firing of the world’s most powerful solid rocket booster – what?